If you have read student writing long enough, occasionally you come across a student who takes a big step up in skill and content. When this happens with my students, the first thing I do is search key phrases on Google. Usually, within minutes, I find the website they plagiarized. But on some occasions, I am stumped. I know their writing, and I know this piece they turned in is not theirs. But the Google machine isn’t finding it no matter how hard I try. Then I start to wonder. I recently graded a stack of student essays. I found some students using essays they had submitted for another course (nice try). I also found students copying content from a website and pasting it in their essay. Hard to believe, right? I mean, you would never do this. How could they even think of such a thing? I recently read a post from Inside Higher Ed titled “Another Terrible Idea from Turnitin.” The post decried the use of algorithms to check student essays for plagiarism. Apparently Turnitin.com plans to add a new feature to catch essays that exhibit a significant change in style. The author, John Warner, believes Turnitin’s solution is a problem. I don’t know enough yet to have an opinion on Turnitin’s new feature, but I do have a better solution: Get to know your students’ writing! 1. Create assignments that require students to draw from their own experiences. Gone are the days when students were banned from using first person pronouns. One of the best ways to enter argumentative writing is through an individual’s stance on an issue. A person’s background shapes his or her stance, so why not include it in the assignment? 2. Focus instruction and assignments on the writing process. Instead of simply giving students a prompt and a deadline, focus instruction on the writing process. Before I even give my students a prompt, I will host a classroom discussion and give a few low-stakes writing assignments about the issue they will eventually write about in a high-stakes essay. Then I lead them through the process, giving them instruction and advice along the way. 3. Require students show evidence of the process. If my students are going to write an important essay, they will have to do many assignments along the way that will show they are processing their thinking and writing. And, at several points, I give assignments that cause them to reflect on the process. They are free to change their topic in the middle of the process, as long as we have a conversation about it. Essentially, as their teacher, I am relating to them through the whole process when their claims and theses are developing, and I get to know their topics well, making it all the more difficult to plagiarize. 4. 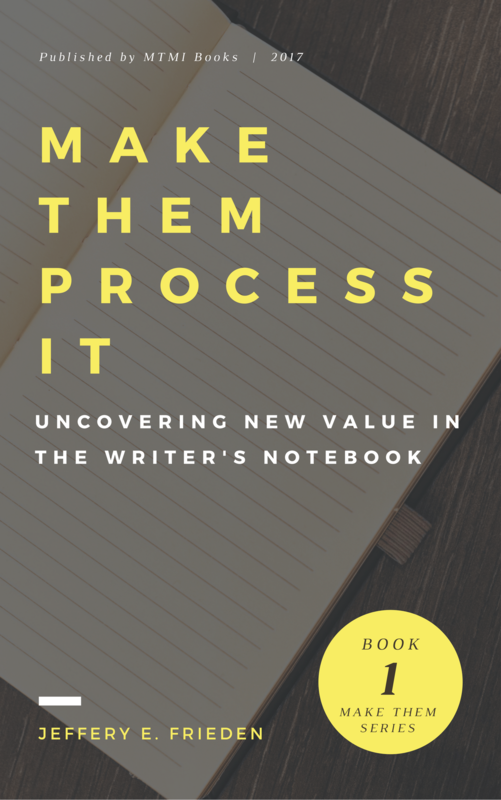 Assign a steady diet of low-stakes writing, using The Writer’s Notebook. Before getting to the high-stakes writing assignments where students are up against deadlines in many classes (which tends to lead to a desire to find a shortcut through plagiarism or purchasing a custom essay), my students produce a lot of low-stakes writing. Using their Writer’s Notebooks, students write about all kinds of subjects they care about. As I read their notebooks, I learn quite about their lives. But mostly, I learn about their writing habits, which makes it much easier to detect when they submit a composition that is outside their daily style. And I use this as a reminder before a big deadline: “Remember, I know your writing habits very well; I can detect the slightest change in style. In my experience with plagiarism and custom essays, students are NOT setting out with the intent to commit academic evil. They are anxious about their grades. They have multiple deadlines in other classes, and they are unsure about their own ability to write well enough to earn high marks in their classes. As teachers, it is our job to help reduce that anxiety and free up their ability to write. QUESTION: How do you handle plagiarism? Do you think a student caught plagiarizing, or submitting a custom essay, should take all the blame? Reply with a comment below. If you haven’t already, follow @MakeThemMastrIt on Twitter, and like the Make Them Master It Facebook Page. I look forward to talking with you about how we can intensify our impact so that everyone wins in the classroom! I would also add very particular items to the scoring guide, that students have learned in the course, maybe a particular craft lesson– say, restrictive clauses– & stylistic devices students notice in what they read– like anaphora after reading The Declaration of Independence. It may not be fool proof, but it will be harder to cheat, so long as we are checking in on their writing progress.